Small (4-6) - $19.99 Medium (8-10) - $19.99 Large (12-14) - $19.99 Only 3 left! What do clowns and kids have in common? Both can cause equal amounts of terror! If you’re not a coulrophobe (a person who suffers from serious clown related phobias) or if you're not really afraid of young children running around wild and unabashed, then yes, this child Big Top Clown costume is for you and your young one. 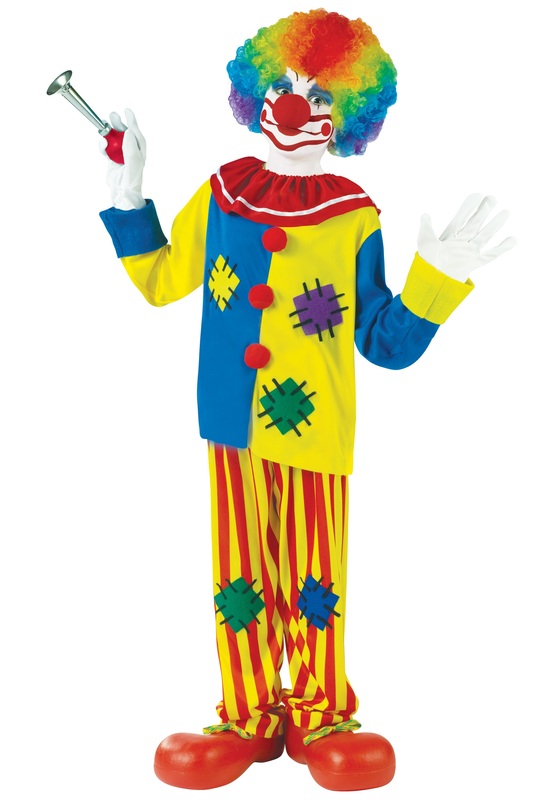 But if the thought of a kid in a clown costume terrifies you then please feel free to look at pirate costumes (we have a ton of those too)! The outfit was very cute. It was lightweight and easy to get on and off which made it easier to layer warm clothes for a cold halloween night.